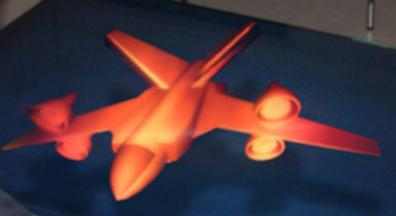 The production of high quality holographic images has always relied on lasers with long coherence length and single mode properties in order to achieve stable interference for the entire exposure time. Today holograms are not only appreciated as art works but they are also used for improved security measures, for instance on credit cards and bank notes, for real-time sub-micron measurements and for advanced presentation in 3D format. Cobolt DPSS lasers are a very appropriate laser source for holography due to their extremely narrow linewidth, which translates to a long coherence length, very stable power and single mode properties. Stable single mode operation is particularly important for large area holograms where long exposure times are often required. HÜBNER Photonics’ single frequency tunable laser, with output in the region 450 nm – 650 nm offers the perfect flexibility to select the exact wavelength for exposures, either as a stand alone laser source or as a 4th laser source in an RGB set-up.